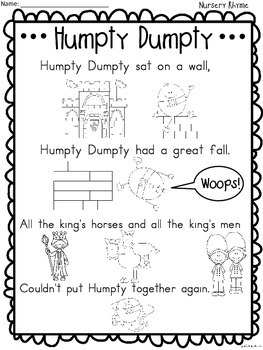 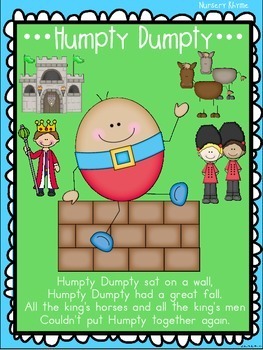 Here is the nursery rhyme, Humpty Dumpty, in a poster format There are 2 versions of posters. 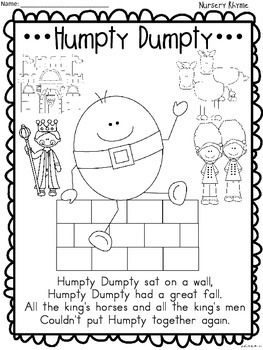 Both versions come in color and black and white. 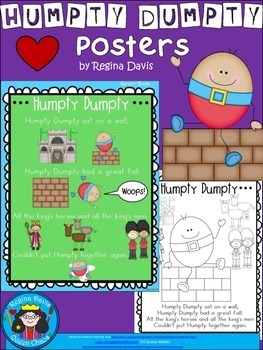 Please view the mini viewing windows as you can see exactly what you'll be receiving.